A provider of accessibility solutions, AKW has announced the launch of its new range of shower seats, which will be available from late March. With the addition of the new entry-level 1000 Series and the upgrade to AKW’s 3000 Series, AKW says it can now offer a shower seat for every adaptation requirement and price-point. Developed in consultation with occupational therapists, end users and installers, the new 1000 Series and updated 3000 Series shower seats complement AKW’s 2000 and 4000 Series ranges and aim to provide functionality, safety and style. AKW has created the new entry level 1000 Series to offer a shower seat at every price point. 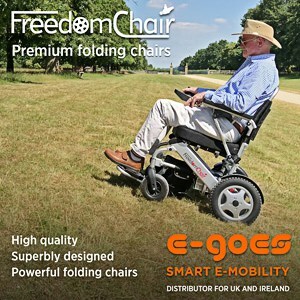 As well as having side transfer and colour padding options for users with visual impairments, the 1000 Series is also height adjustable, has a padded backrest on the frame, a maximum weight of 158kg and comes with a 12-month warranty. AKW’s improved 3000 Series shower seat offers users and installers a strong, durable chair, without the full specification of the 4000 Series. This mid-range shower seat is height adjustable, has a half back support with padding and PU arms with top padding. It also has a maximum weight of 190kg and comes with a 12-month warranty, offering users cost-effective durability. Stuart Reynolds, Head of Product and Marketing at AKW, commented: “Our aim is to ensure that all accessibility needs are met with our products. With this in mind, we have reviewed our shower seat ranges and introduced the 1000 Series, to ensure that all end user requirements are taken into account. AKW works closely with occupational therapists and healthcare professionals to design and manufacture a full range of easy access showering, kitchens and mobility support products.